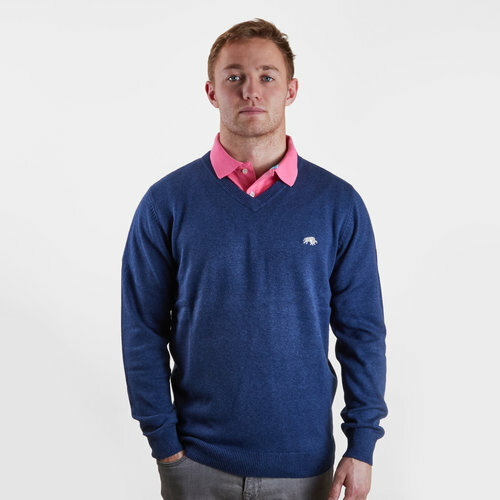 Stay warm and feel relaxed with this Raging Bull Signature V-Neck Knit Sweatshirt in Smart Denim. This sweatshirt has been crafted in a luxurious cashmere fabric. This Raging Bull v-neck top is a must-have for cooler days. It's embroidered with the iconic bull logo to left side of chest. It will look great by itself or team it with your favourite shirt.